The star of the show was Michael Dell, who provided his unique perspective from launching his business more than 30 years ago in his dorm room. During the past three decades, he has sold more than $1 trillion in technology products and services. 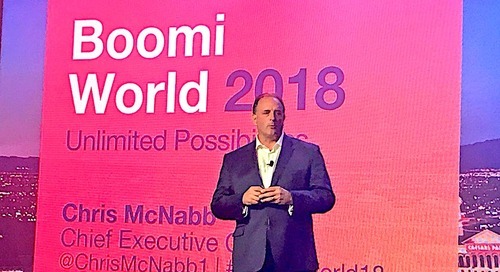 Boomi CEO Chris McNabb began the day, highlighting the strategic importance of integration in driving organizational transformation and the company’s spectacular growth. 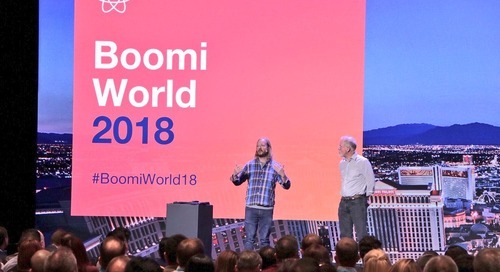 Boomi now has more than 7,500 customers, 64,000 users (or Boomers, as they’re fondly known), and 350 partners engaged in more than 1,000 projects. Those numbers have grown impressively large. Other numbers have dramatically shrunk. 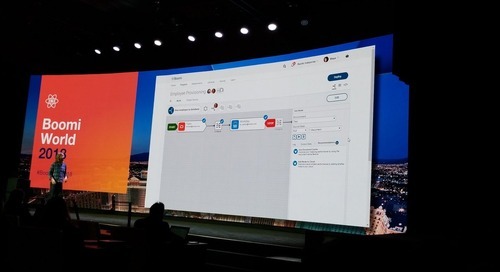 Today, using the latest Boomi UI enhancements, McNabb said a Salesforce integration can be built in just 3 minutes. For perspective, six years ago a customer could use Boomi to complete a Salesforce integration in 30 minutes. 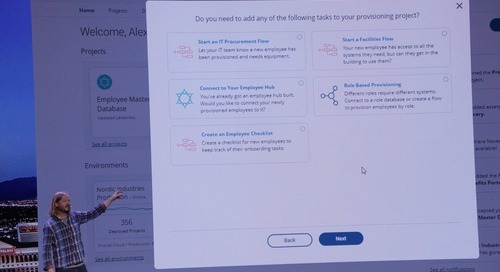 Back then, most Salesforce integrations created with conventional tools and techniques required 10 weeks of work. But Boomi isn’t stopping there. 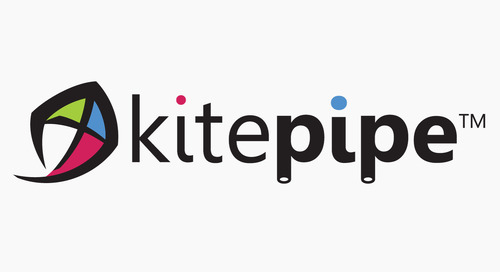 The company will continue accelerating integration and workflow automation, reducing minutes to mere seconds and applying artificial intelligence (AI) to automatically build integrations without human involvement. 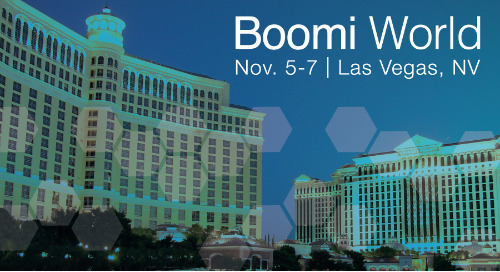 And people will be able to interact with Boomi data and services in different ways, such as using voice. To drive this point home, McNabb spoke a command into his smartphone. 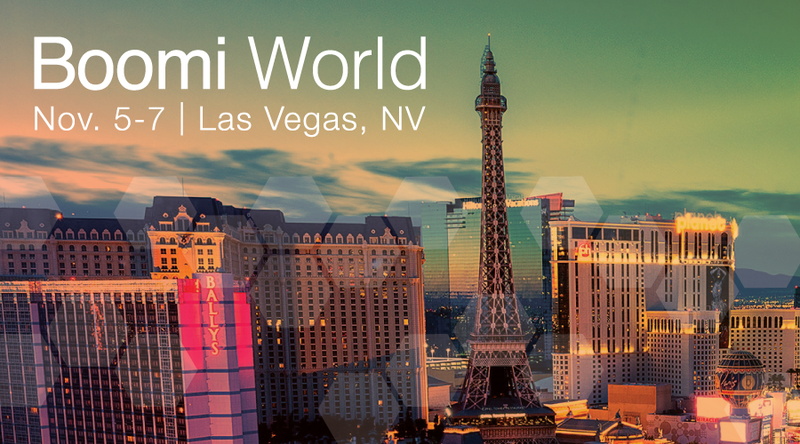 Instantly the hall was abuzz with personalized text messages zipping instantly to all Boomi World attendees. 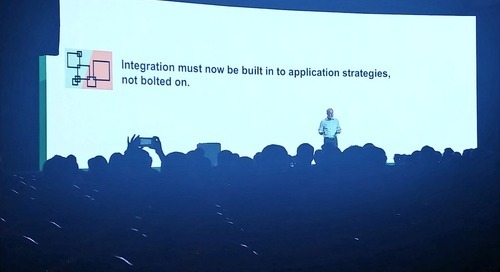 It was an impossible-to-miss demonstration of the power of Boomi for connecting disparate systems and putting the power of integration within reach. 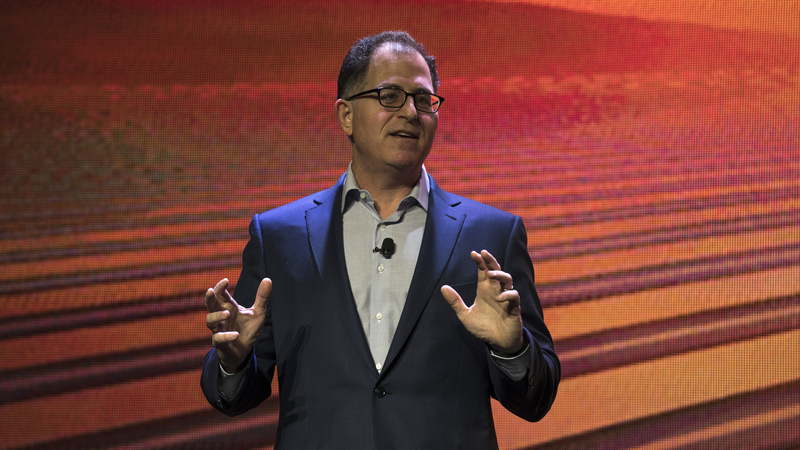 Dell Technologies, which comprises Boomi, Dell Computer, DellEMC, Pivotal, RSA, SecureWorks, VirtuStream and VMware, has become the largest IT infrastructure and services company in the world. 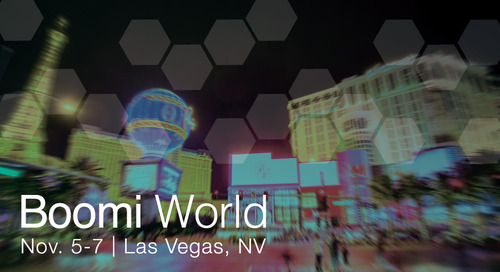 It’s uniquely positioned to help enterprises transform their organizations to remain competitive and to create new value in the 21st century. 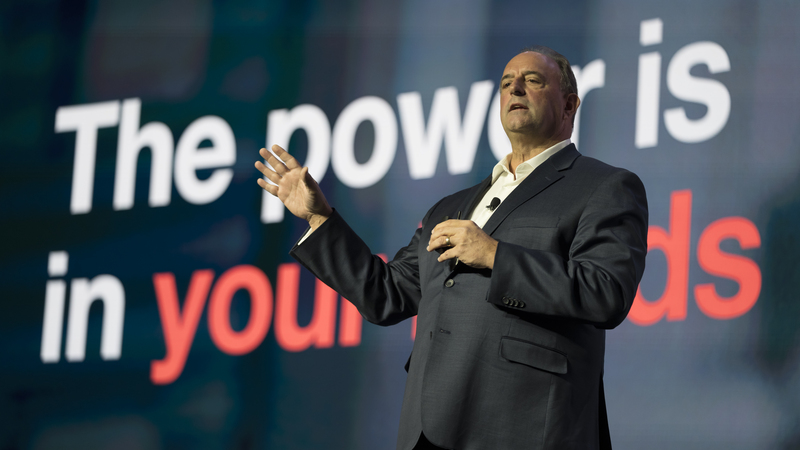 Dell pointed out that now the world is undergoing four major transformations including digital transformation, IT transformation, workforce transformation and security transformation. Dell said data is the key to addressing all of these transformations. Without data, there is no business. And he explained how Boomi is the key platform for helping organizations revolutionize how they use data. 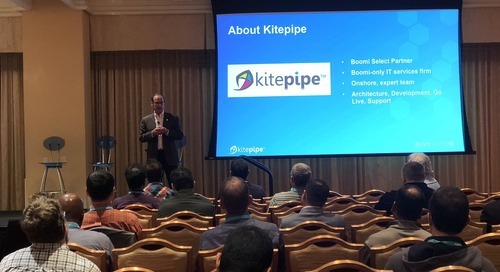 Throughout the morning of presentations, Boomi customers were front and center. Their stories demonstrated the critical, strategic advantage of integration for helping businesses transform and become better. 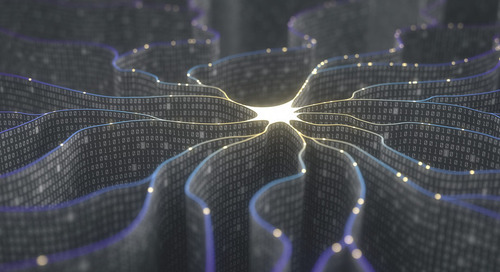 Sky Media explained how Boomi has helped the company reinvent how it streamlines and automates its customer support processes. 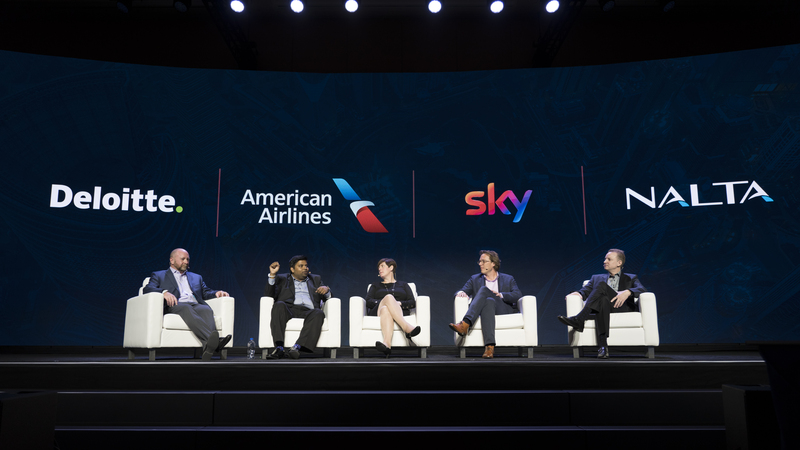 American Airlines described how it worked with Boomi partner Deloitte to reinvent processes across the organization to unify and simplify its IT systems. Flinders University discussed how it is using Boomi to build the Digital Campus for the next 50 years. 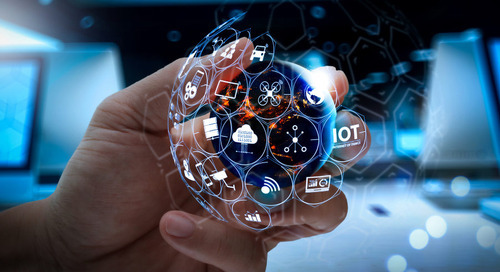 DigitalAngel, a Dutch start-up, illustrated the power of Boomi as the foundation to a pioneering Internet of Things network for connecting medical devices to improve patient care and efficiencies. 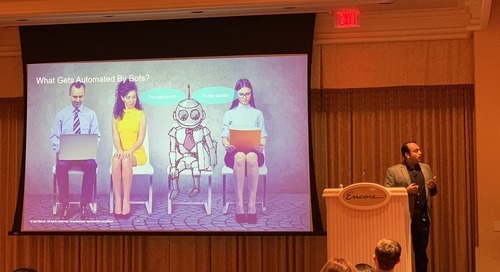 Beyond the morning keynotes, participants enjoyed an afternoon of deep-dive sessions covering a wide range of topics from EDI integration and the IoT to integration for higher education and building integration centers of excellence. Stay tuned! 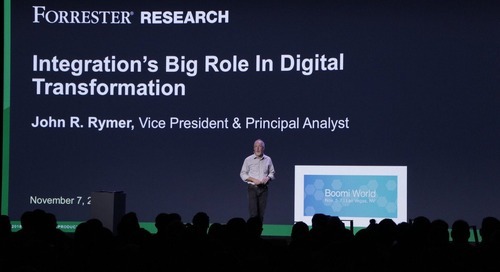 Day Two is underway with morning keynotes from Boomi’s chief product officer, Steve Wood, and John Rymer, principal analyst with Forrester Research.